In recent months, I’ve been bitten by the vintage drum bug. 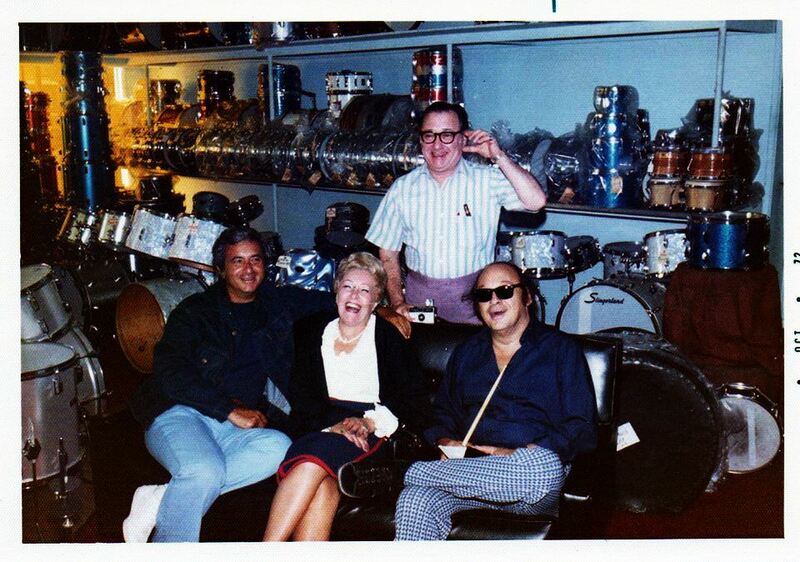 I suppose all drummers are naturally collectors – there’s always another cymbal, drum or toy to add to your arsenal. And while I certainly don’t need another drum at this point, the hunt for rarities and curiosities, the chance to own a small piece of history, is proving to be pretty irresistible. I got pretty lucky the other day with my latest acquisition. 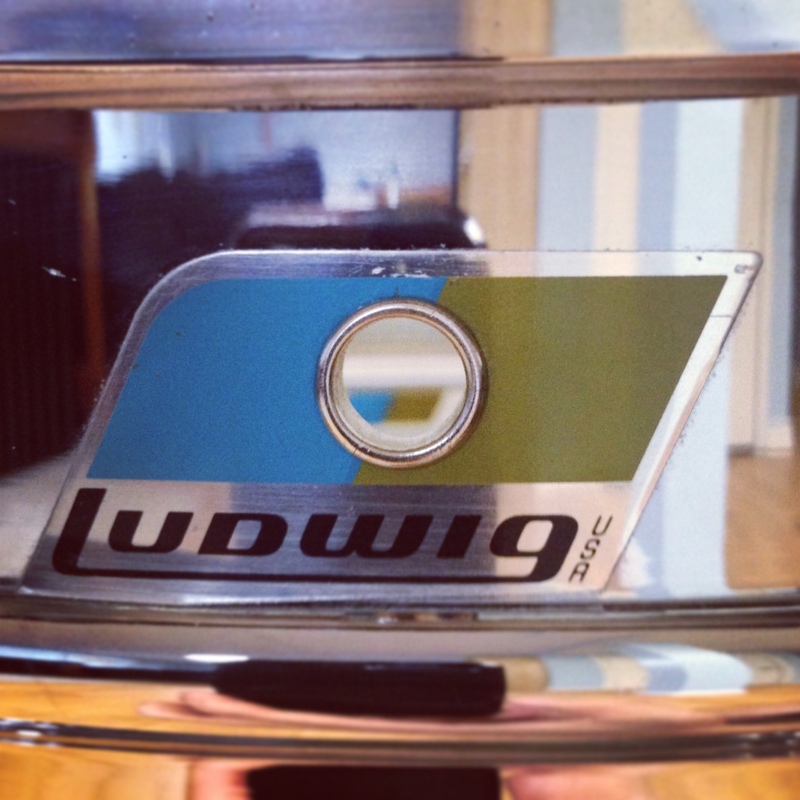 The local drum shop (which is a fantastic place) has a steady stream of used and consignment drums for sale, and a very nice 1971 Ludwig Super Sensitive (SS) popped up on the store’s Facebook page last week. 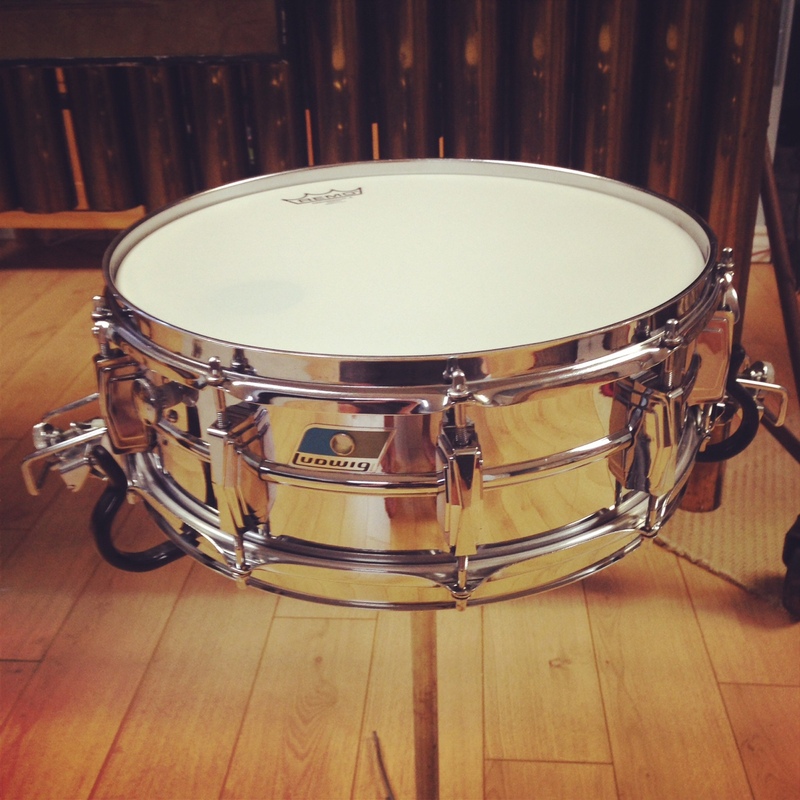 It’s essentially the same drum as the Supraphonic, which many consider the most-recorded snare drum in history. 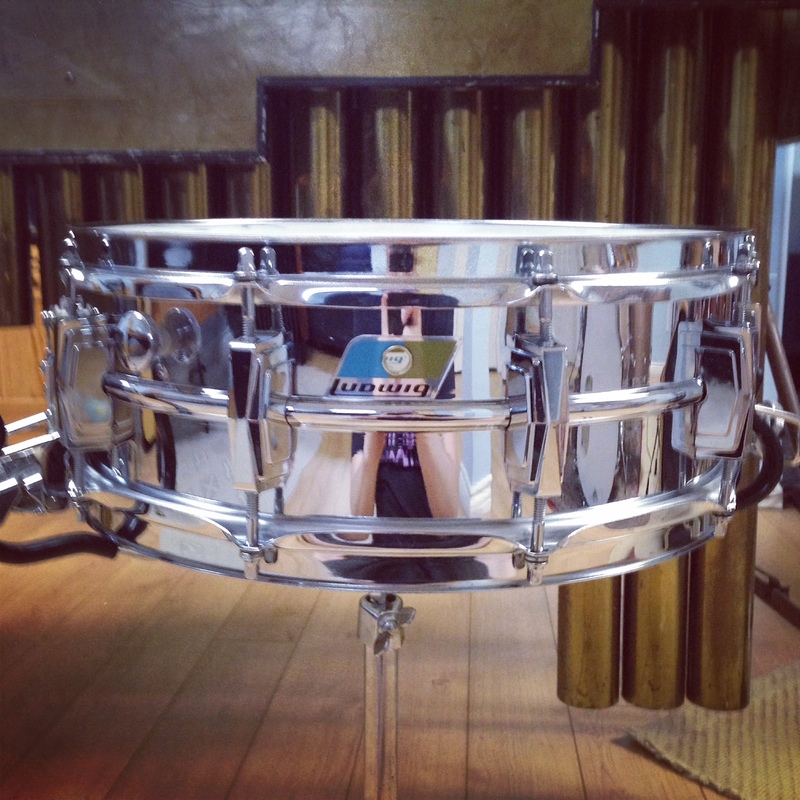 Ludwig sold thousands of these snares, and you see them for sale all over the place. I stopped by the store after work to check it out, and the drum looked practically brand new. The chrome on the shell didn’t have any of the usual pitting or flaking that you often see with older SSs and Supraphonics. I’ve seen a lot of these drums on eBay over the past few months, but none of them looked this good. I didn’t buy it immediately (because I’m an idiot), but after an evening of obsessing about it, I returned the next day to pick it up. It’s a classic drum that should be in every drummer’s collection, so I figured I might as well buy it now as it was unlikely I’d come across one in better condition anytime soon. It turns out that little “B” is pretty important. It indicates that instead of being aluminum, the shell is actually made of brass. 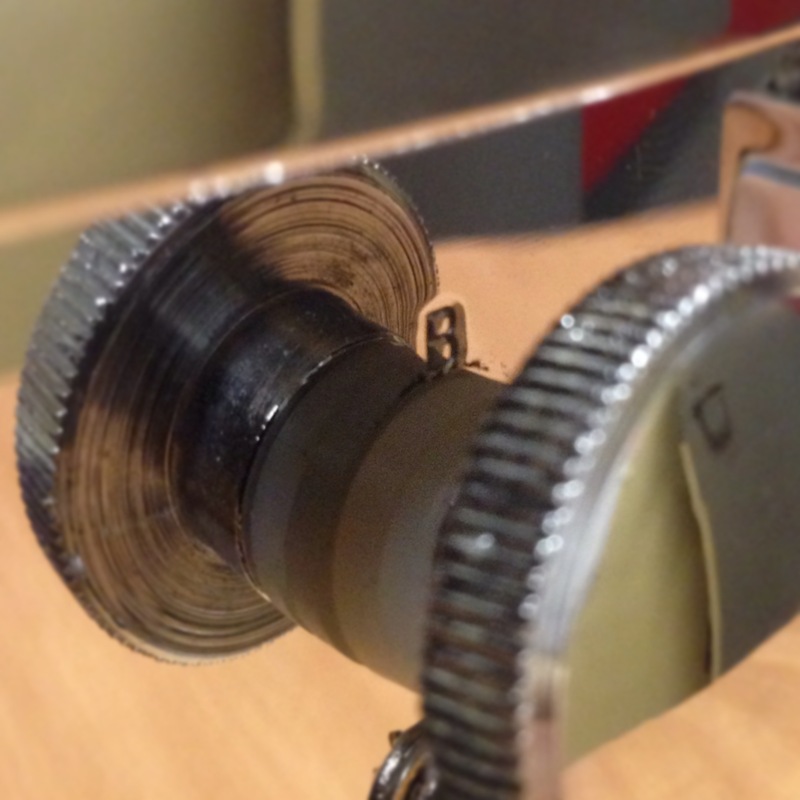 What I thought was a fairly common SS is actually a significantly more rare Chrome Over Brass (COB) SS. Not a bad start to my hobby as a collector. 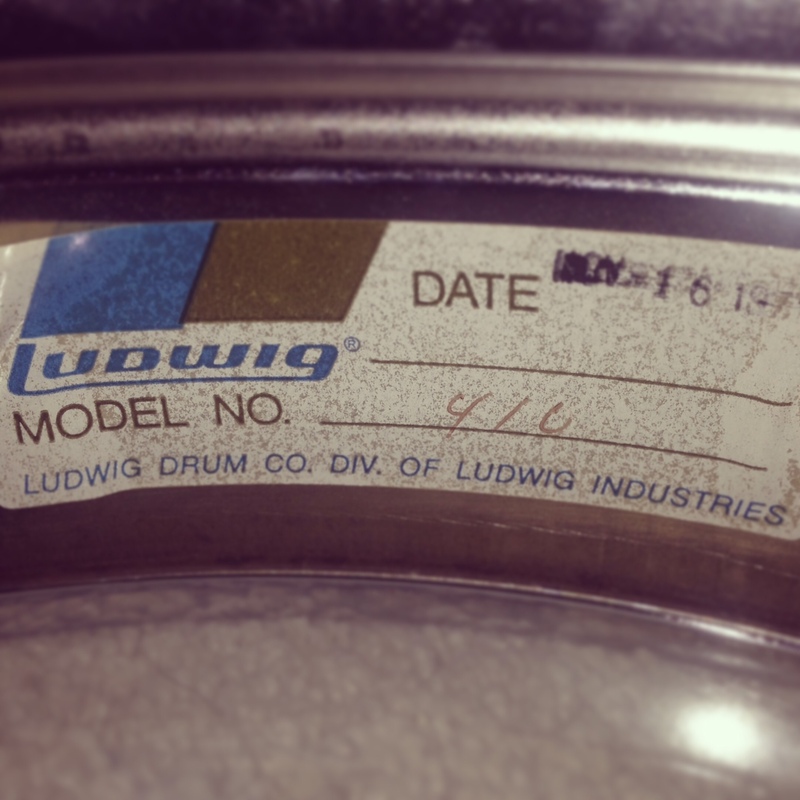 Hopefully the next drum I pick up will be equally as interesting…but I doubt it. Deagan Century of Progress Marimba No. ?? & No. ? ?